Usbek Bag Antique has beautiful natural colors and a back side sewn onto it. 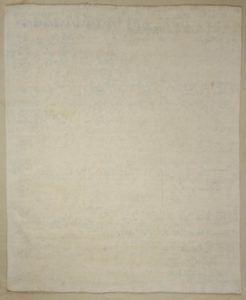 This antique is handwoven with natural wool. This bright yet Small Saltillo Serapi is prized for it’s beauty and yet practical functionality. These eye catching colors will bring a splash of vibrance into your home! 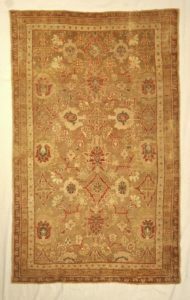 Ziegler caucasian kazak hand knotted with natural wool and natural dyes. Come by to check out our large collection of rugs. This elegant Fine Sultanabad runner carpet displays the ultimate balance between coloration and design. The light dyes of the wool lures a warmth and it’s splaying floral designs beckon to the nature lovers. 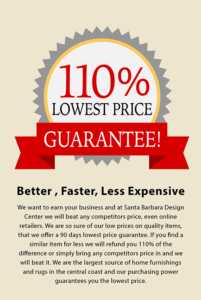 Here at Rugs and More, we are known for the extensive collection of Persian Carpets and oriental rugs. We have multitude of choices from refined antiques to tasteful timeless looks for any home. 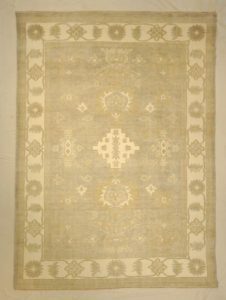 This Antique Sultanabad is an amazing piece of work with it’s original unique designs and soft rare color palate. Even the size is different from most in nature. This tells us that this rug must have been a custom creation. 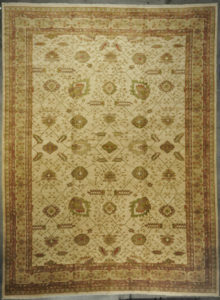 This Ziegler & Co. Sultanabad Rug is rare and sought after. 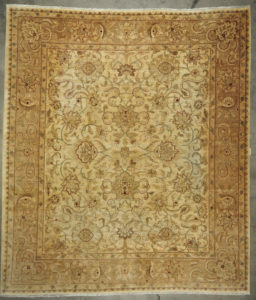 These intricate designs and colors are what makes these the most desired rugs in the market today. Hand woven with natural dyes, this rug will last you a lifetime. 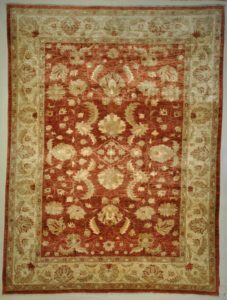 This Ziegler & Co. Montecito Oushak Rug is known to follow closely to those that decorated Ottoman palaces. They are very popular for their intricate patterns and colors which has been preserved till today. Usak region still produces carpets and supplies them worldwide. Overdying these carpets is a modern technique that changes the whole idea of oriental carpets and makes them stand out among your decor. 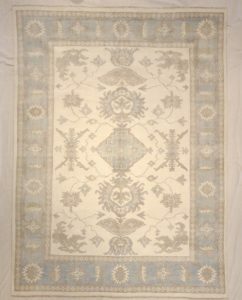 It is known that designs like this Ziegler & Co. Montecito Oushak Rug follow closely to those that decorated Ottoman palaces. They were known for their intricate patterns and colors which has been preserved till today. Usak region still produces carpets and supplies them worldwide. Overdying these carpets is a modern technique that changes the whole idea of oriental carpets and makes them stand out among your decor. 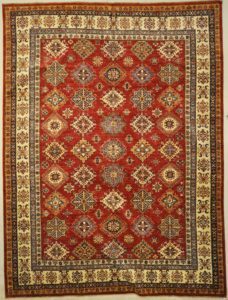 In 1883 Ziegler & Company established itself as the first to master Ziegler & Co. Sultanabad Rugs for the larger rooms and different color palette needs of the western world. That has continued to today, and this masterwork is a prime example of how Ziegler has perfected the melding of classical designs and master weaving to produce only the finest art for the floor. 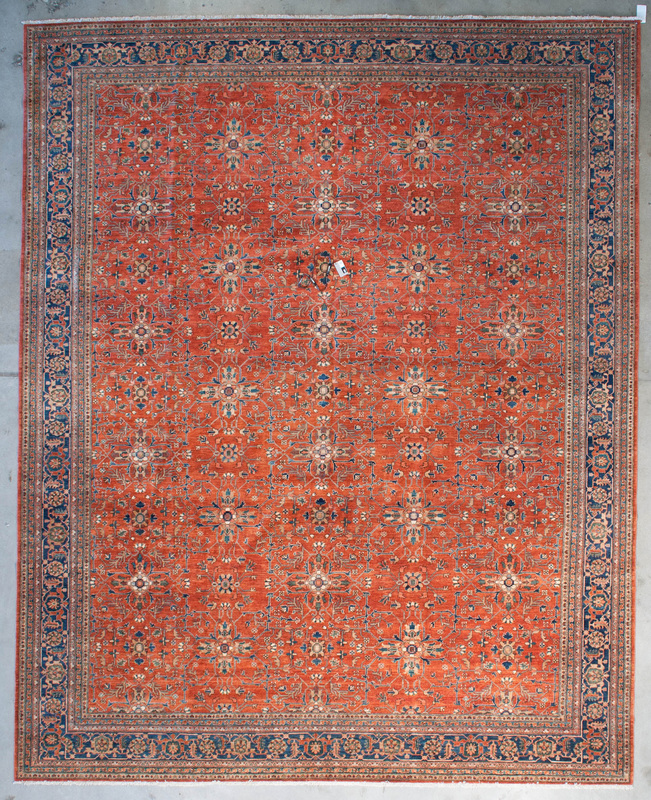 This Ziegler & Co. Sultanabad Rug is rare and sought after. These intricate designs and colors are what makes these the most desired rugs in the market today. Hand woven with natural dyes, this rug will last you a lifetime. Fine Mughal Runner hand knotted of fine wool and organic dyes. Featuring reds and blues. 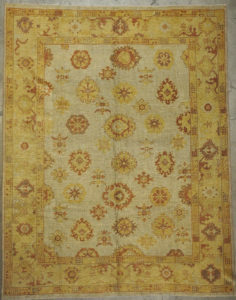 This Fine Ziegler Usak Runner is made with the finest hand knotted wool that is dyed naturally. These are classic motifs paired with a modern palette that will incorporate into your home smoothly. 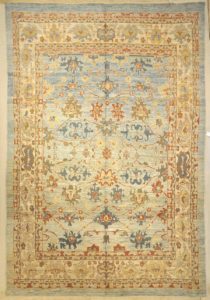 This beautiful Farahan runner is a colorful way to brighten up your hallway. It’s perfect size of 2×10 will allow for many uses. 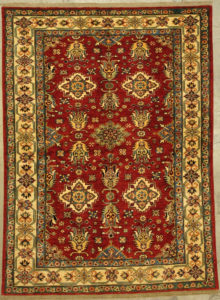 Farahan carpets were originally produced in the Arak region of west central Iran. They always have remarkable designs and colors that blend easily into your decor. 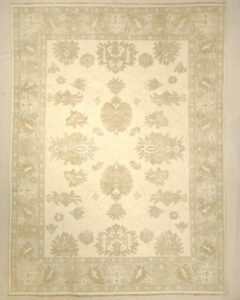 This fine angora Oushak Runner is the perfect size for your entryway or hallway. These Natural colors will incorporate well with any decor. 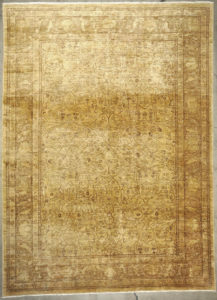 Oushak rugs have become the rugs of choice for many of the top interior decorators in the world today. This rare colored Turkish Oushak Runner originated from the Anatolian Mountains. Antique Turkish Oushaks were designed with intricate patterns and soft dazzling wool that changes color with the lighting. These salmon and green colors are a unique find when it comes to Turkish design. In the 15thCentury, beautiful colorful Oushak carpets decorated Ottoman palaces. They were known for their intricate patterns and colors which has been preserved till today. 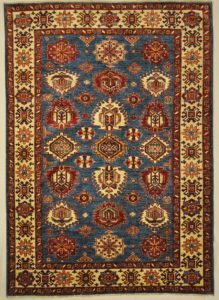 The Oushak region still produces carpets and supplies them worldwide to decorators and designers. Overdying these carpets is a modern technique that changes the whole idea of oriental carpets and makes them stand out among your decor. 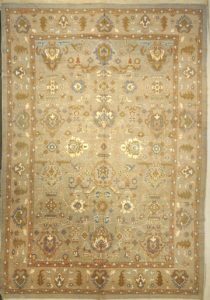 Sari Silk Neo Usak Rug hand made of natural wool and organic dyes. Beautifully re imagined antique usak motif. Fine Ziegler & Co Oushak handmade of natural wool and dyes. Featuring deep reds.